1 ton overhead crane is a kind of small size crane that can be used in the workshop, warehouse and the other occasions. Because of its smaller size than the large scale cranes, a 1-ton crane is easy to move and install. In the meantime, this series 1-ton cranes are movable and adjustable so that they can meet the needs on different occasions. 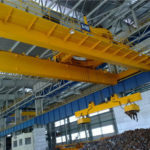 Generally speaking, the machine in various sizes and specifications can be supplied in our company and we will give you more information if you are interested in our overhead bridge cranes. 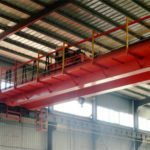 Our company can give you a 1-ton single girder overhead crane, and the single girder overhead cranes are in good conditions in the aspect of the movement. 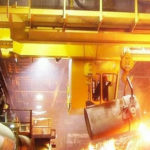 Following is some information about basic types of one ton overhead crane. It has a simple structure and low procurement cost. Meanwhile, it must be used in conjunction with hoist products. The general lifting capacity is from 0.5 tons to 20 tons, and the span length is 7.5~31.5m. The working environment temperature can be afforded from -20 degree to 40 degrees. It is widely used in factories, warehouses, machining workshops, and maintenance workshops. The machine can be operated through three modes: with ground wired handle, with ground wireless remote control, cabin operation and the cooperation of these operating modes. Because of its low working level, it can’t be used in places where the weight is large and the work is frequent. It is mainly used for metallurgical and casting places for lifting molten metal. The structure of LDY type machine is simple and the cost of purchase is low so that we can give you a competitive price. The supporting lifting mechanism is YH type metallurgical electric hoist. The generally lifting weight less than 10 tons and the length of the span can reach from 7.5m to 31.5m. At the same time, it can give you good working conditions. The working environment in the temperature can be afforded from -20 degree to 60 degrees. 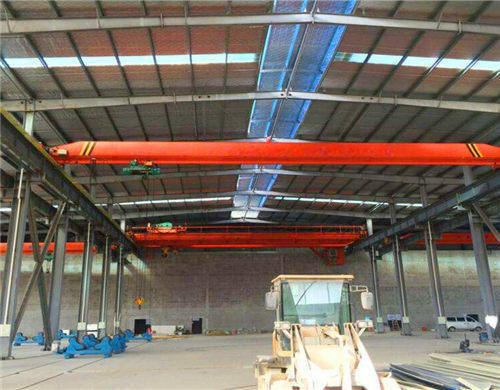 Compared with the LD type single girder overhead crane, the LDY type single girder overhead crane can afford higher temperature. The main way of operation is cab operation and ground wireless remote control. 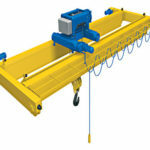 LX electric single beam suspension crane is equipped with an electric hoist. It has a simple structure and low cost. In the top part of the workshop, the running truck must be equipped in order to support the running of the girder. The general lifting capacity is from 0.5 tons to 10 tons, and the span is from 7.5m to 16m. The temperature of the working environment can be stood from -20 degree to 40 degrees. That is to say, our machine can be worked normally in the normal environment other than the over-chilly and over-hot weather. It is mainly suitable for the processing and assembly of machinery equipment and warehouses. Meanwhile, the mode of operation is ground wired handle and ground wireless remote control. 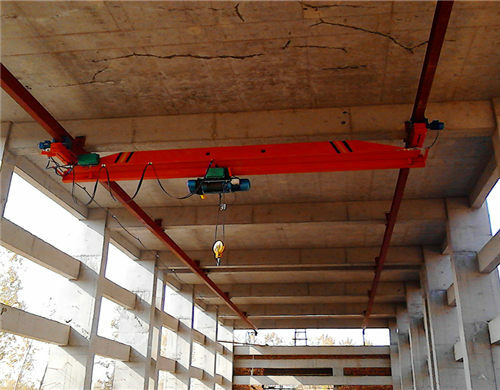 LDP electric single beam crane is a kind of side hanging single beam crane. Electric hoist is located in the side of the main girder, which is able to increase the height of the hoisting hook. The general lifting capacity is from 1 ton to 16 tons, and the span of the girder is from 7.5 m to 22.5m. The working environment temperature is -20 degrees C~40 degree C. The operation method includes ground wired handle and ground wireless remote control. 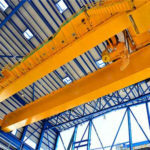 The European standard single girder overhead crane adopts the European technology and modular design. This series crane machine mainly equipped with European wire rope hoist with a lightweight and light structure. It is widely used in workshop and warehouse places in machinery manufacturing, metallurgy, electric power, electronics, and other industries. It is especially suitable for materials handling and components assembly which require high positioning precision. 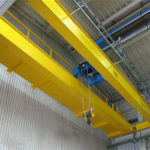 The general lifting capacity is available from 1 ton to 10 tons and the length of the span is from 7.5 m to 22.5 m. Just the same as the LD type single girder overhead crane and LX electric single beam suspension crane, the cranes can be worked normally in the temperature of the working environment from -20 degree to 40 degrees. The operation method consists of a ground wired handle and ground wireless remote control. 1 ton overhead crane cost: The cost of the machine is lower and reasonable. Because the cost of the raw material is lower than the others so that our company can give you a competitive price. In the meantime, it can save the cost on the machine. Weihua 1 ton bridge crane for sale has high quality. Our machine owns world advanced technology. The core components of the machine have a higher advantage because the components in world famous brand are adopted in our machine. The perfect after-sale service can be supplied and our machine has a long service time so that more profit can be made for your business. It has a good safety device and many safety devices are designed in the machine in order to avoid unexpected accidents. The 1-ton crane has low noise and the working environment of the machine is easy for workers. 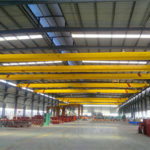 Why Choose Weihua 1 Ton Overhead Crane? There are many specifications you can choose in our company and we are sure that you can choose a suitable one for our company. 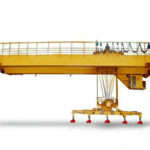 Our company is one of the most professional and experienced crane manufacturers in the world. All of our staffs are devoted to build a world-famous brand and supply high-quality products. We can supply the machine according to your special requirements. No matter what kinds of needs you have, we’ll do our best to provide you with a good solution. Other than 1 ton overhead crane, our company also supplies 2 ton overhead crane, 3 ton overhead crane, even 100 ton overhead crane. It’s up to your requirements. Weihua is located in the biggest machinery manufacture base in China and we are a large professional industry and trade integration enterprise on a crane, hoist and winch, etc. Through the development of our company in the last half-century, we have gained many orders throughout the world and we also gained good reputations among customers. A number of certificates are received by us so that we are a company which has the approval. With so perfect service and machine, why not send an inquiry to us to get more information?